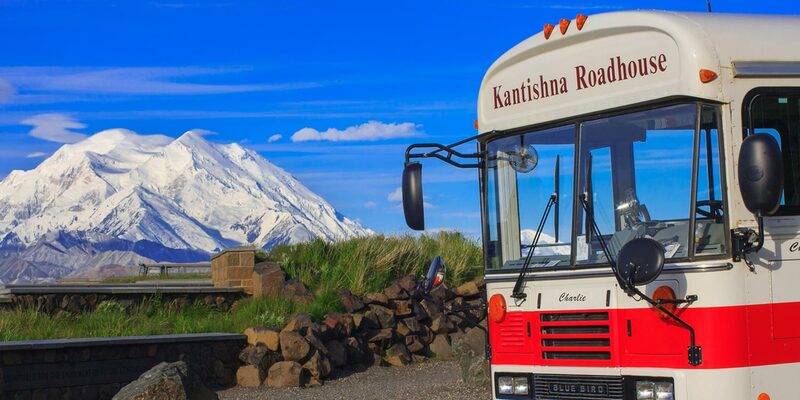 We invite you to hop aboard our private bus for a day-trip of a lifetime, where you will experience breathtaking Alaskan beauty and adventure. 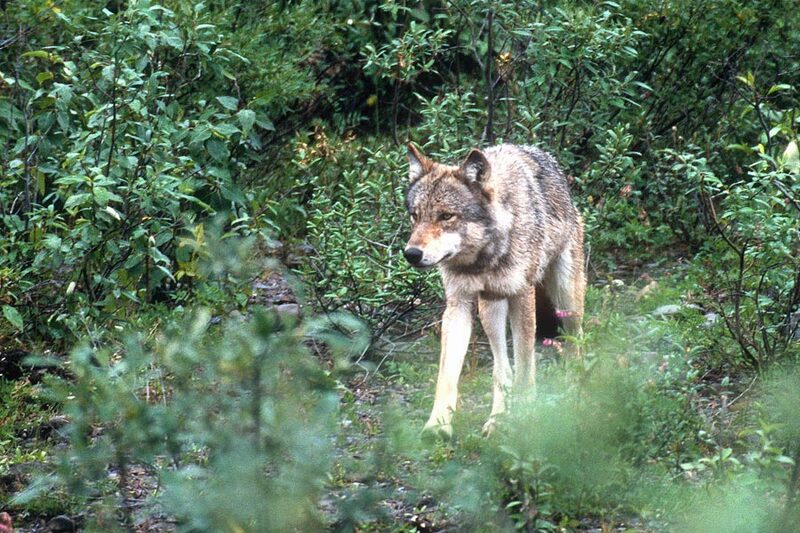 Our knowledgeable Driver/Guides will share the biology, geology, and history of the region with you as you travel the entire length of Denali Park road. 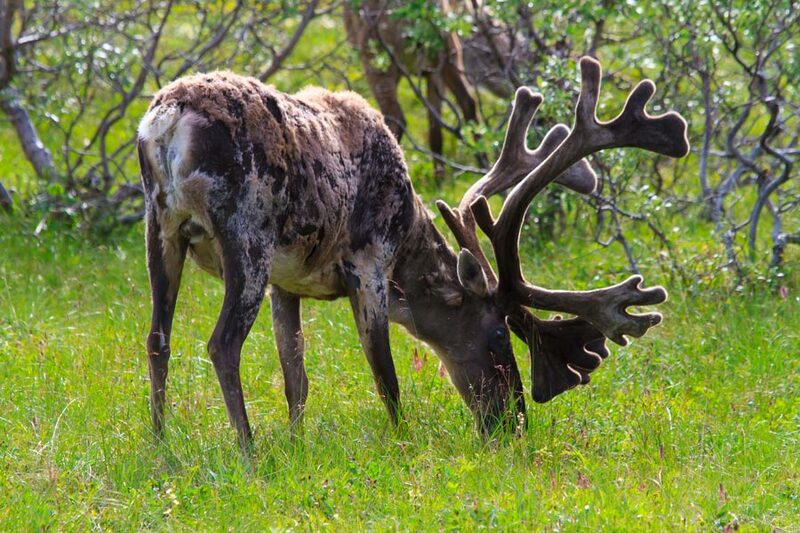 Be sure to have your cameras ready to capture pristine landscapes and abundant wildlife in their natural habitat as you roll through Denali National Park. If the weather is clear, you might even have a chance to see Denali (also known as Mt. McKinley) the tallest mountain in all of North America. 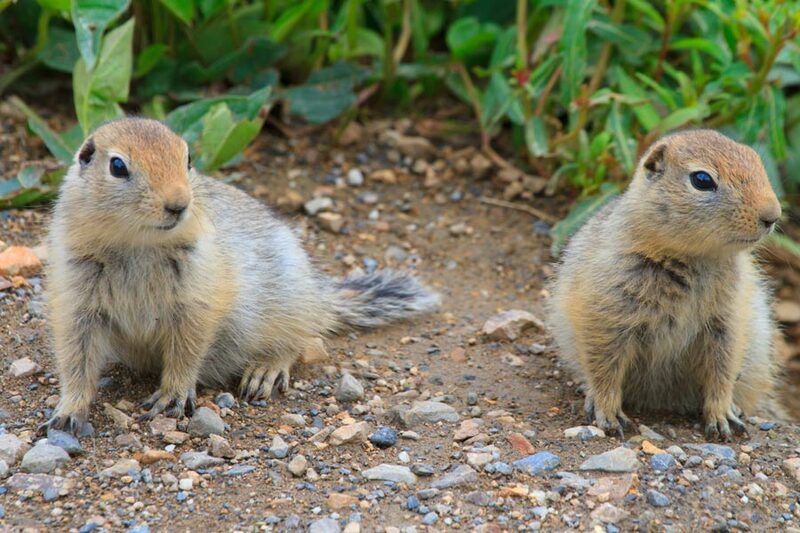 Along the route of Denali Park Road, you’ll have tremendous opportunities to spot a variety of Alaskan wildlife. 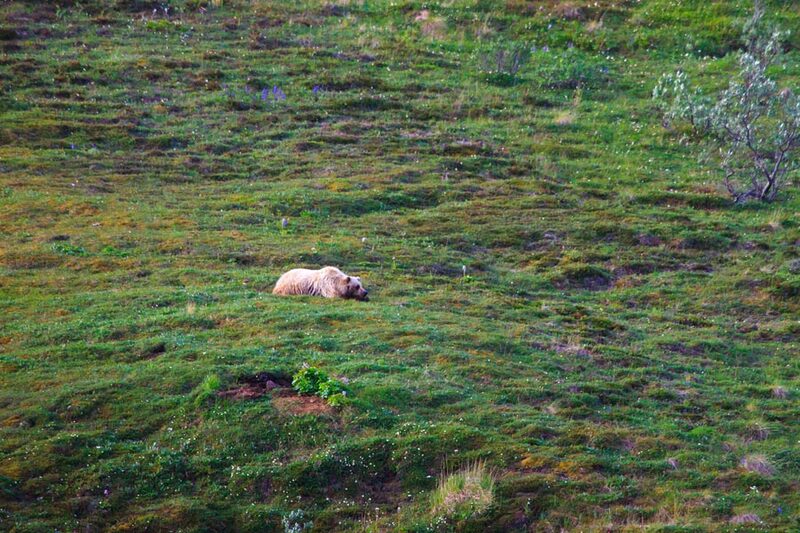 You are likely to spot bears, caribou, foxes, moose, wolves and birds while your guide drives through Denali Park. We recommend bringing binoculars or a camera with a telephoto lens to get the complete experience of seeing these animals. 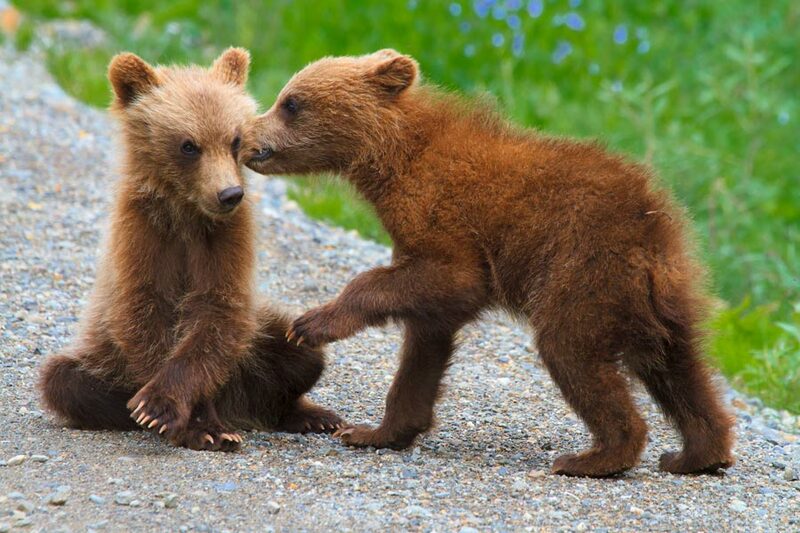 Your tour guide will stop whenever wildlife comes into view, so speak up if you spot something! There is no guarantee that you’ll spot any particular animal on the tour, but with enough patience and attention you’ll have tremendous opportunities to spot these magnificent creatures in their native habitat. Over gently sloping hills, across magnificent braided rivers, and along gorgeous natural landscapes of the Alaska Range, you’ll tour through some of the most breathtaking wilderness in Alaska or anywhere in the world. Denali Park Road meanders 92 miles into Denali Park, all the way to the historic mining district of Kantishna. Along this road, you’ll spot major natural landmarks including Igloo Mountain, Polychrome Pass, and Toklat River. The grand views of this tour will challenge your sense of scale and offer an inspirational glimpse into untouched Alaskan nature. Stretch your legs as you enjoy lunch at the exclusive Kantishna Roadhouse (our backcountry lodge), located just past Wonder Lake, the jewel of Denali, on the banks of Moose Creek. 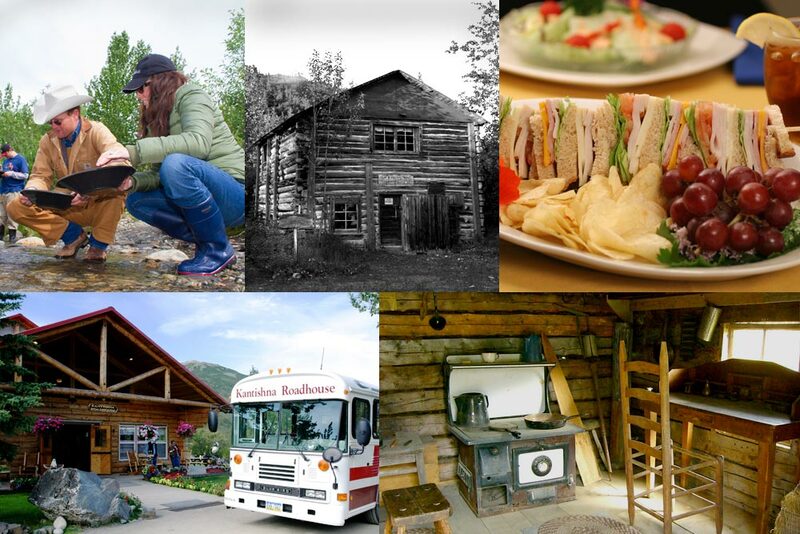 There you will discover a piece of Alaska’s gold rush history, and the warm hospitality of the Roadhouse staff as you enjoy a tasty soup and sandwich lunch served in the dining area. After lunch, you’ll be invited to try your luck at panning for gold in Moose Creek or join other guests watching an Alaskan sled dog demonstration. If you prefer solitude, you may explore the historic grounds or simply put your feet up and relax on the deck of the lodge with a cool drink and immerse yourself in the natural scenery. After lunch and activities, the bus will return to the Denali Park Village lobby and hotels.